Global insurance and reinsurance broker Marsh has announced that in 2018, it had placed more than 10,000 risks through the London Market Group’s (LMG) electronic placement platform, Placing Platform Limited (PPL). 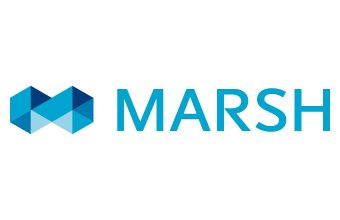 In total, Marsh has now placed more than 15,000 risks on the electronic platform, which is used by the Lloyd’s of London insurance and reinsurance marketplace, London market insurers, and brokers. The Board of the London and International Insurance Brokers Association (LIIBA) said in December last year that PPL adoption among the broker community had seen a steady rise. Paul Moody, Chief Executive Officer (CEO), UK Specialties, Marsh, said: “We’re delighted to achieve this significant milestone on PPL. By driving adoption of electronic placement we are able to enhance service to clients by producing key documentation when the risk is bound, which can then be sent to clients on the same day. The PPL is a core part of the LMG’s Target Operating Model, which is looking to make it more efficient to transact insurance and reinsurance business in the London market.